Highway Traffic Act Offences - Fight Your Charges! Some Highway Traffic Act Offences (HTA) carry very serious consequences. Below are some of the ones that we deal with most frequently. Careless driving is defined as driving “without due care and attention or without reasonable consideration for other persons” on the road. A wide range of bad driving behaviours can attract this charge. The prosecutor has to prove that you drove in this manner and will frequently do so by calling witnesses who observed you driving. The penalties include fines ranging from $400 to$2,000, or up to six months of jail, or both. In addition, your driver’s licence or permit may be suspended for up to two years. This offence carries 6 demerit points. Your automobile insurance will be affected. It may go up considerably and you may have difficulty getting insurance at all. If you knowingly drive while your licence is suspended, you are guilty of this serious offence. There are various reasons why your licence might have been suspended, for example for non-payment of child support, or for having been convicted of a drinking & driving offence. The penalties can vary depending on which of those reasons apply, as well as whether or not you have committed this offence before, and include additional suspensions. A possible defence is that you were misled by the ministry and did not know that you were suspended. On conviction for a first offence there is a fine of between $1000 and $5000. For each subsequent offence there is a fine of between $2000 and $5000, or jail up to six months or both. If you were caught driving while under suspension and the suspension was due to a previous drinking & driving offence, then there is a fine between $5000 and $25,000, or jail up to six months or both. For each subsequent offence there is a fine between $10,000 and $50,000, or jail up to six months or both. No matter which of these reasons apply, in addition to the penalties here described, there will also be a six month licence suspension consecutive to any other suspension you may have. Your vehicle will also be impounded. If you are caught driving with a licence suspended under the HTA, for example for being in default of child support, the vehicle you are driving will be impounded for seven days. If you are caught driving with a licence suspended because of a Criminal Code conviction, the vehicle you are driving will be impounded for 45 days. If you are in charge of a vehicle that is involved in an accident, you must remain at or immediately return to the scene of the accident and render all possible assistance. In addition, you must upon request, give in writing to anyone sustaining loss or injury or to any police officer or to any witness your name, address, driver’s licence number and jurisdiction of issuance, motor vehicle liability insurance policy insurer and policy number, name and address of the registered owner of the vehicle and the vehicle permit number. In a fail to remain case, the prosecutor will seek to prove that you failed to fulfill these duties. If you are convicted of this offence, there is a fine between $400 and $2,000, or jail for up to six months, or both, and in addition your licence or permit may be suspended for up to two years. This offence carries 7 demerit points. If the accident results in personal injuries or in damage to property apparently exceeding $1000, you must report the accident to the nearest police officer. Not reporting is a separate offence, the penalty for which is usually a fine and three demerit points. Your automobile insurance will be affected. It may go up and you may have difficulty getting insurance at all. Any number of behaviours while driving can amount to stunt driving, for example: “Driving a motor vehicle in a manner that indicates an intention to cause some or all of its tires to lose traction with the surface of the highway while turning”; or, “Driving a motor vehicle with a person in the trunk of the motor vehicle”. “Driving a motor vehicle at a rate of speed that is 50 kilometres per hour or more over the speed limit” is also defined as stunt driving. Racing is self-explanatory, but even just driving too fast may be defined as racing for this offence. The prosecutor must prove that what you were alleged to be doing in your vehicle amounted to stunt driving/racing and will frequently do so by calling witnesses who observed you driving. 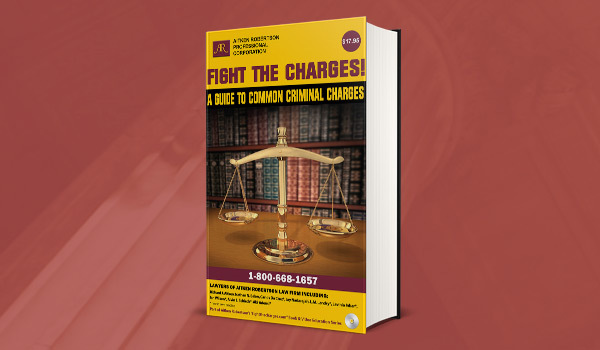 If convicted there is a fine of between $2000 and $10,000, or jail up to six months or both. In addition, your driver’s licence may be suspended on a first conviction for up to two years and on subsequent convictions for up to 10 years. This offence carries 6 demerit points. At roadside there will be an immediate seven-day administrative licence suspension and your vehicle will be impounded for seven days at your cost and risk. Your automobile insurance will likely be affected. It may go up and you may have difficulty getting insurance at all. Fight Your Highway Traffic Act offences! Call our lawyers at 1-800-668-1657 or visit one of our offices to get a free 30-min consultation.